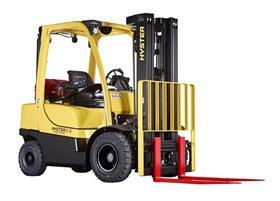 Hyster Europe is offering a wider range of solutions and customisations for its Fortens ICE trucks. Matthew Allen, product manager for Hyster Europe, notes "customers need specific solutions that meet their particular application or industry requirements". "For instance, to alert pedestrians of an approaching vehicle in busy warehouses with blind intersections or high noise environments, … Pedestrian Awareness Lights can be fitted to the front, rear, or both of Hyster Fortens trucks," he explains. Other additional options include red zoning lights on either side of the truck to help indicate to pedestrians the distance they should keep from the truck. A panoramic mirror is another available option, complementing the intelligent truck and mast design which optimises forward and rear visibility.